A city council committee is set Thursday to talk about putting a price on sunlight. The planning and growth management committee will discuss how to find common ground in an increasingly common conflict: new tower developments that are accused of casting shade on homes that are equipped with expensive solar panels. And that discussion can't come soon enough for Lee Adamson. 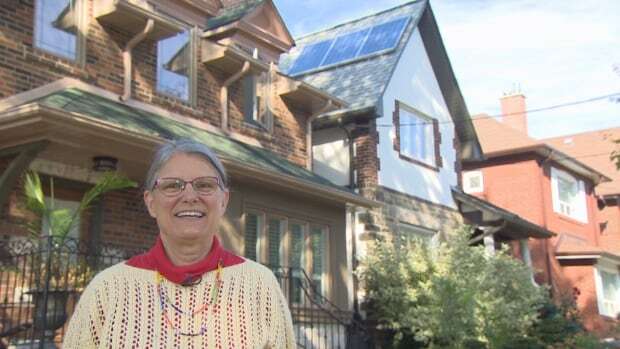 The retiree spent $18,000 putting solar panels on the roof of her midtown Toronto home 10 years ago. They've been a boon, she told CBC Toronto Tuesday, shaving about 60 per cent off her monthly hydro bill. 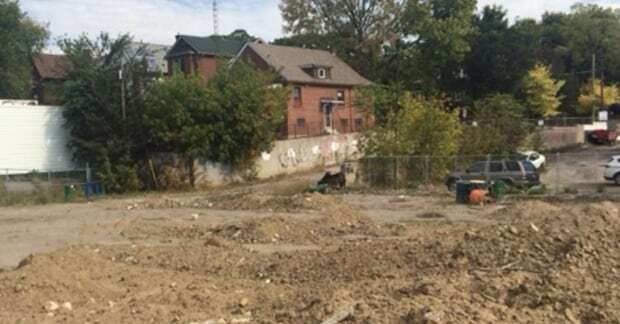 But a few years ago, a developer bought the lot next to hers in the neighbourhood near St. Clair and Oakwood avenues. A mid-rise building is in the works with the blessing of the city's planning department, which for years now has espoused an "up not out" philosophy for the city's growth. The problem: that 12-story building will block Adamson's sunlight during the peak afternoon hours, which means her solar panels won't be operating at capacity. "Even before they're paid off, I'm losing prime sunlight in the afternoon for most of the year." she told CBC Toronto this week. "It's frustrating. There are no bylaws, no protection. There's no consideration." She figures the development will mean she'll only be generating energy for a couple of hours, up until about noon, rather than from mid-morning to late afternoon, during the summer months. 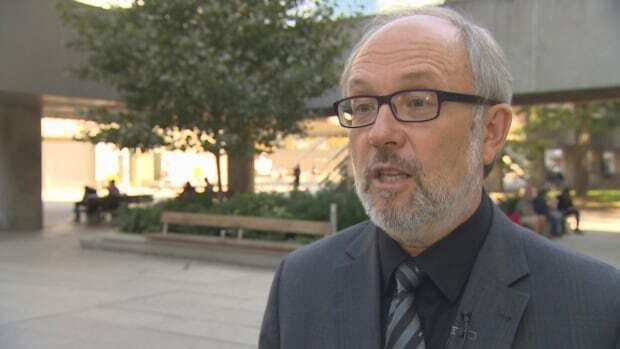 She approached her city councillor, Joe Mihevc. He wrote the motion to be debated at today's growth management meeting. His letter to the committee asks that staff come up with a "right to sunlight" protocol, which could include cash payments to homeowners who find that new, nearby buildings are interfering with the operation of their solar systems. 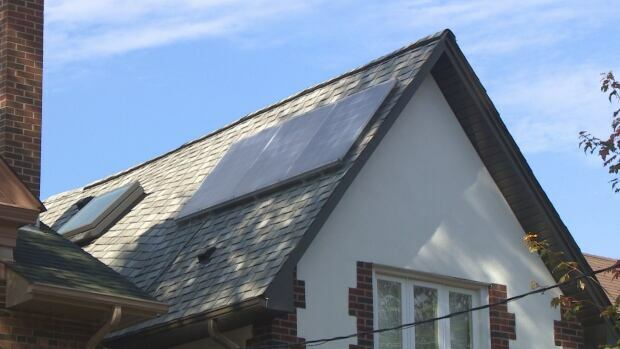 "More and more homeowners are purchasing solar energy units. What happens when a developer builds right beside it and blocks the sun to that solar energy producer?" Mihevc said. "That's the new reality we have to face." He said he personally favours a plan that would give preference to the structure that was in place first. So a homeowner whose panels are left in the dark by a new highrise would be given compensation by the developer, he said. Conversely, homeowners who choose to buy homes in areas where a tower is planned shouldn't expect a right to sunlight. And in Lee Adamson's case? "She was there first," Mihevc said. "Any development that blocks her right to sun should see the developer compensating her for the net loss of sunlight to her property, and therefore for the net loss of income." It's the sort of conflict that Franz Hartmann, executive director of the Toronto Environmental Alliance, calls "a great problem to have." The debate illustrates that more people are going solar, and at the same time "we're getting higher buildings, we're getting more density, we're building in the places we should be building." Both Mihevc and Hartmann denied that demanding developers pay more, if their buildings cast shadow on residential homes, would discourage development. BILD GTA, which represents the region's developers, wouldn't comment on Mihevc's plan. "Until there is a report with provisions/recommendations we don't have anything to respond to or talk about," Bild wrote in an email Tuesday to CBC Toronto.